Congratulations! You’ve found a great apartment to call your new home. Now, here comes the fun part: actually making it your new home. Before you even move in, here are six steps to take to ensure the smoothest transition possible. Haven’t a new place to call home yet? 1st Lake Properties has many available New Orleans apartments for rent! Now that you’ve decided on an apartment and put a deposit down, it’s time to start mentally preparing to move in. Make sure to have a camera phone or digital camera when you go to view the apartment. Start mapping out what the different rooms will be used for and where you want furniture to go. If you want to take it to the next level, put the pictures up on a poster board and label your new setup with a sharpie to really visualize it before moving in. Need some inspiration? Check out the 1st Lake apartments for rent in Metairie! It’s better to turn on your electric before you move in rather than dealing with it while you’re moving in. Most communities provide water so check with the leasing staff. Make sure you have your power, water, cable and Internet if you need it. This will expedite the physical moving process! Once you’re unpacking, you will probably find the need for some basic carpenter’s tools like measuring tape, a hammer, screwdriver, nails, scissors, etc. Have a basic tool kit prepared for the move so you don’t have to make a run to the store each time you need something. Unless you have valuable or sentimental silverware you don’t want to part with, go ahead and get new basic eating utensils. Start fresh in your new apartment! Buy a new welcome home mat while you’re at it. Moving out of your old apartment into a new one is a kind of purging and cleansing process. Only take what you really need and get rid of what you don’t. This might mean letting go of some of those worn and weathered pieces you’ve held on to for so long, or depending on the size of your new digs, you might have some extra space to fill up! Take an inventory of what you will be bringing with you and decide what new furniture you will need – like tables, chairs, beds or couches. Get rid of all of the cardboard boxes. Buy plastic containers that can be used over and over again. If you have not used it in the last year you probably do not need it. Donate it to someone who can use it. 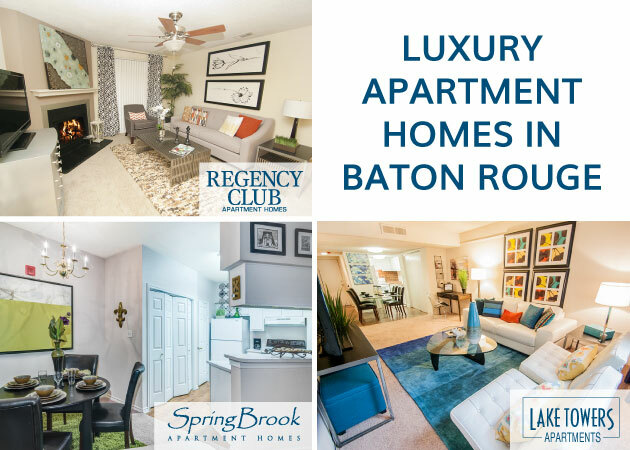 Follow these six steps and you’ll be all set to move into your next New Orleans, Metairie or Kenner apartment rental at 1st Lake!